Can't find the right tool for chopping, slicing, juicing or scraping? Try these cool hacks. 1. Use the flip side of a big knife to scrape cutting boards. The problem: You’re chopping a bunch of veggies for a stir-fry and bits of onion and garlic are stuck to your cutting board. The solution: Skip the bench scraper, turn your knife over so the blunt side is perpendicular to the work surface and scrape scraps directly into a garbage pail. This will keep your knife from dulling, and you don’t need to purchase extra equipment. 2. Use tongs to juice lemons, limes and oranges. Whether you need juice for Double-Yolk Sour Lemon Bars, Glazed Orange-Pecan Bread or a big batch of limeade, fresh is always better than bottled. The problem is, squeezing fruit with your bare hands is messy and inefficient, and juicers are single-use items too large to store easily. That’s when a set of tongs comes in handy. The high grip keeps your hands clean while giving you extra leverage to squeeze out every last bit of juice. It works best with lemons and limes, though oranges are okay, as well. Do it over a coffee filter or sieve to catch errant pits. 3. 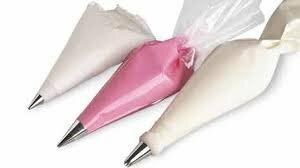 Use a plastic bag to pipe frosting or fill deviled eggs. Few of us own pastry bags, never mind the array of tips needed to create Pinterest-worthy cakes and pies. Still, we’d like to add a little oomph to our baked goods. So, next time you need to embellish a brownie, grab a plastic bag, snip a corner, stuff it full of frosting and start squeezing. The size of the hole will create different effects (small hole = fine lines, large hole = thick lines). The plastic bag trick also works with deviled eggs, or any food that needs a controlled filling. 4. Use a pastry blender to chop garlic, mushrooms, strawberries, eggs and avocados. If you’re looking to whip up a quick egg salad or fast guacamole, you might want to grab a pastry blender. Usually reserved for baking tasks like cutting butter into flour, the inexpensive, sturdy tools are excellent for chopping soft food quickly, thanks to their sharp, closely-spaced blades. The process is simple, too: Simply place your chosen edible on a cutting board and go to town. 5. Use a pastry brush to spread butter evenly. To remedy this, substitute small amounts of butter or oil for cooking spray, then use a small pastry brush to spread it evenly over your cooking surface. This ensures you don’t overdo the fat and calories, and your food doesn’t stick to the pan. Extra-special use: For grilled cheese, you don’t need to melt a huge hunk of butter in a pan. Instead, melt a little butter and brush it evenly on the bread. Then, place the sandwiches in the pan. You’ll get a golden, buttery lunch without the extra fat. 6. Use a flexible cutting board as a funnel. If you've ever poured your grandchild a cup of lemonade that he didn't touch or served too many chips at a party, you know the pain of trying to pack food back into its original container. Fortunately, a flexible cutting board is just the ticket. Roll it into a cone, with one end small enough to fit into your chosen carton or bag. Then, commence pouring. No mess, no fuss. 7. Use kitchen shears to chop baby food and veggies or slice pizza. Behold, the most underrated piece of kitchen equipment there ever was: the mighty kitchen shear. 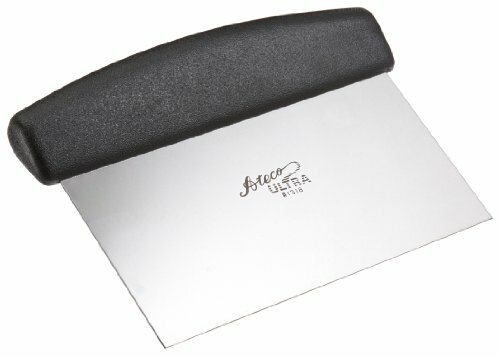 Frequently relegated to lowly tasks like slicing open bags of chicken, this noble tool is capable of far more, from chopping meats and veggies (without the mess) to slicing pizza (without damaging your pan) to mincing herbs (without the waste). It’s a wonder we didn’t hail it sooner. 8. Use a potato peeler to shred chocolate or parmesan. To grate chocolate bars and hard cheeses, you can buy a specially made tool, or you can whip out your trusty potato peeler and get to work. The all-star kitchen tool is also a great substitute for a mandolin, another single-use item used to make paper-thin slices of vegetables or cheese. 9. Use coffee filters to keep bugs off food. It’s summer. You’re having an outdoor party. And your snacks and dips are being attacked by a phalanx of flies. Fend off invading insects with a well-placed coffee filter. They’re disposable, cost next to nothing and you don’t need to add extra lids to your ever-growing stash of plasticware.